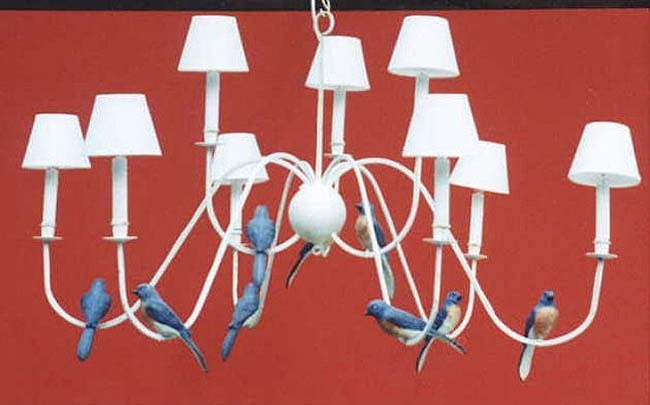 Description: 9 Waterfall Blue Bird Chandelier. Also comes in 8 other sizes and colored birds & doves. Resin &steel. Shades extra.